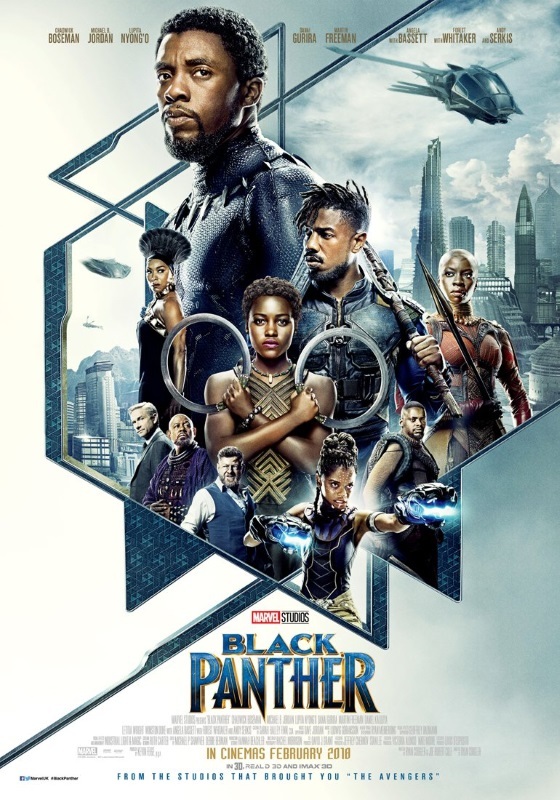 Finally got to see Black Panther yesterday after hearing lots of good things about it. Review after the poster and the click for more link which will include spoilers so be warned if you haven’t already watched it. Posted on Monday, February 26, 2018 Sunday, February 25, 2018 by GaryPosted in Film/TV, ReviewTagged Ant-Man, Black Panther, Dr Strange, Hulk, Iron Man. Mrs Earth-Prime and I saw the latest Marvel offering yesterday – not entirely sure why Britain gets these films days if not weeks before America but I’ll take advantage of it. There may be mild spoilers below but, honestly, there’s not much to spoil. 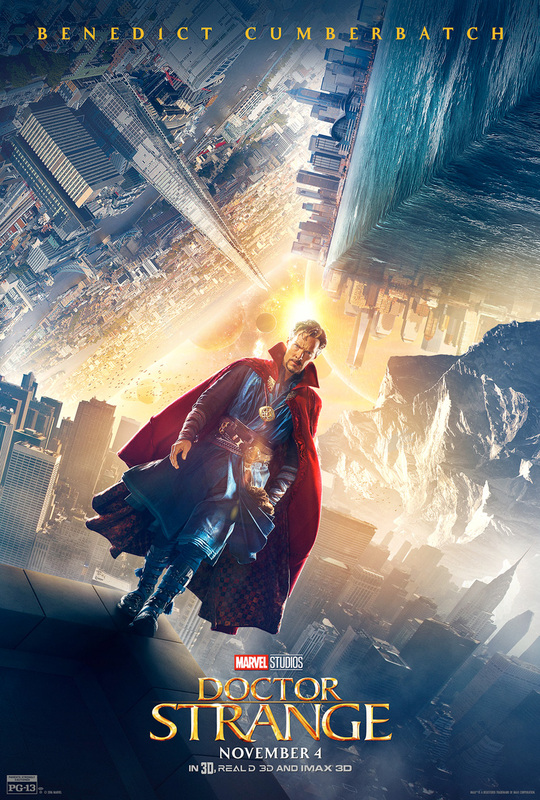 Not surprisingly, it’s an origin movie – arrogant, self-centred and brilliant surgeon Dr. Stephen Strange is involved in a car crash and receives massive nerve damage that ends his career. Refusing to accept his fate, and after hearing of another patient who overcame similar injuries, he heads to Nepal in search of a mystical Eastern healer. There he finds the Ancient One who reveals a hidden world of magic and, eventually, trains him to become a sorcerer. Meanwhile, one of the Ancient One’s previous students, Kaecilius, has stolen some forbidden texts and plans to raise Dormammu, an extra-dimensional bad guy from the “dark dimension” who plans to destroy the world – or save it, from Kaecilius’s point of view. It’s well done – nobody performs poorly – and it looks very nice, though the collapsing streets of New York will inevitably be compared to similar scenes in Inception. The story’s tight but, with the exception of the ending which I’ll come to in a moment, it was pretty much by the numbers. The rebellious student, the wise teacher, the hero with a natural aptitude who overcomes the bad guy . . . it’s all stuff that’s been done before. It was definitely Cumberbatch’s film; Tilda Swinton’s Ancient One probably gets the next largest chunk of screen time with most other characters moving around the periphery, adding some dialogue here and there while Cumberbatch and his sometimes wandering American accent dominate the story. Mads Mikkelsen as Kaecilius tries to convince Strange that Dormammu is the way forward and the saviour of mankind but we know that’s not going to work. Chiwetel Ejiofor as Mordo, a fellow student of the Ancient One, is the only other character who has any significant arc and it’s a believable and understandable one that sets him up nicely for the inevitable sequel. Pretty much every Marvel film has been resolved at the end with a big punch up – the hero punches the bad guy (or another hero in Civil War) until the bad guy stops. Here, there’s a different take. It’s still violent on the surface but Strange uses that big brain of his to come up with a solution that forces a resolution to the conflict that is refreshing just because it’s different. 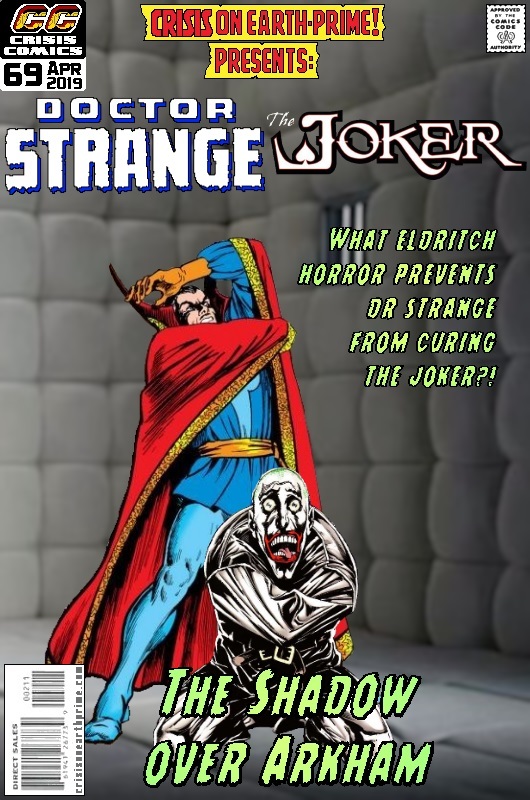 Posted on Friday, October 28, 2016 Friday, October 28, 2016 by GaryPosted in Film/TVTagged Dr Strange.